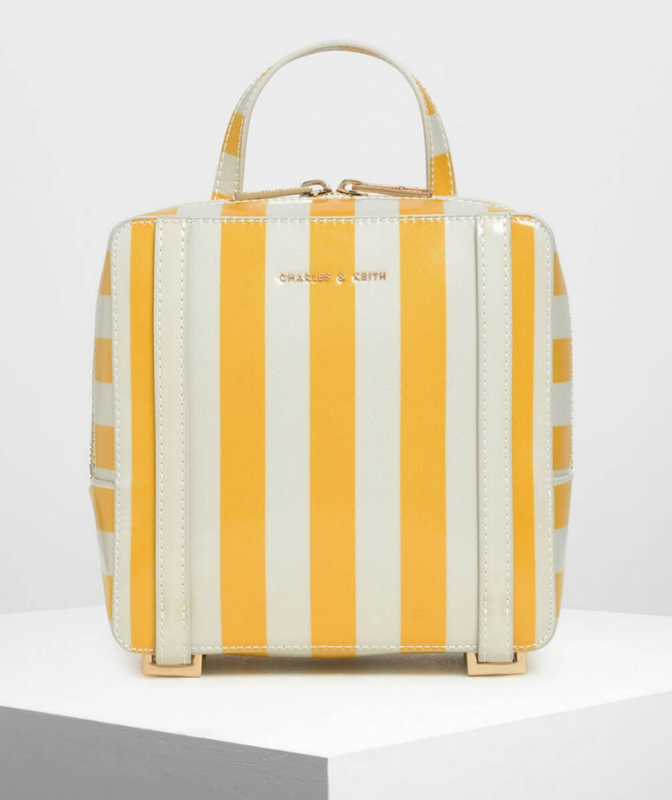 What about this little beauty from Charles & Keith, a fabulous yellow stripey square backpack. Simply stunning isn’t it? Mum will love this, she will certainly get maximum chic appeal with this backpack. Top handle detail, double strap detail, zip closure and adjustable strap. Perfect for those everyday outings, chuck it on your back or wear it over one shoulder, however you want to wear it, it will always be stylish.